36-inch x 100 ft. Brite Aluminum Screen Protecting people from annoying and often disease-carrying insects, Phifer's Aluminum Screen sets the standard for the screening industry's level of quality and dependability with the production of a precision woven and uniform coated screen mesh. Phifer has been supplying aluminum insect screening to the United States and the world for over a half century. Aluminum screening is suitable for all window, door and porch applications and is available in three colour finishes. 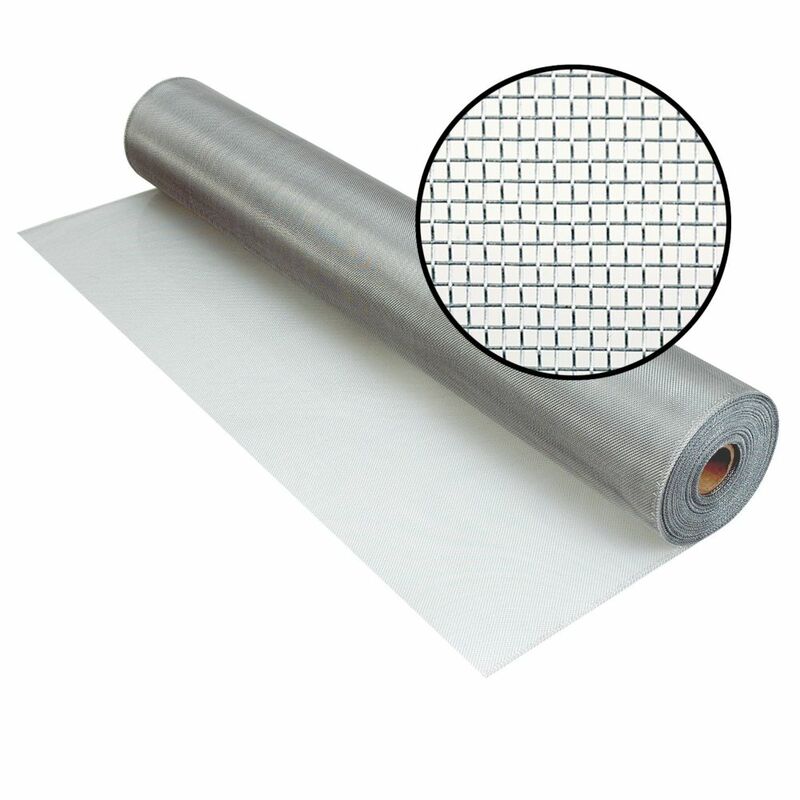 36-inch x 100 ft. Brite Aluminum Screen is rated 4.0 out of 5 by 1. Rated 4 out of 5 by Ray06 from Great value. This is a good quality screen material. A large quantity is much cheaper than buying a whole bunch of small rolls. Would this be good to keep chipmunks and squirrels out of the garden?? Standard aluminum wire 18x16 weave .010 diameter would only last for a while due to the consant attrack that these pest would put on it. Grill cloth is a 8x8 weave with a thicker diameter .0225 wire comes in 36&quot; and 48&quot; width rolls and only in 50' lengths. You would have to contend with the them climbing up and over. This may help for a while no guarantee.